In today's digital age, artificial intelligence and big data are helping people navigate the world in new ways. While many researchers are using these new tools to innovate and advance different disciplines, a few, like Fred Fonseca, are approaching these advancements from a different perspective. "There's a new field called data ethics," said Fonseca, associate professor in Penn State's College of Information Sciences and Technology and 2019-2020 Faculty Fellow in Penn State's Rock Ethics Institute. "We are collecting data and using it in many different ways. We need to start thinking more about how we're using it and what we're doing with it." By approaching emerging technology with a philosophical perspective, Fonseca can explore the ethical dilemmas surrounding how we gather, manage and use information. He explained that with the rise of big data, for example, many scientists and analysts are foregoing formulating hypotheses in favor of allowing data to make inferences on particular problems. "Normally, in science, theory drives observations. Our theoretical understanding guides both what we choose to observe and how we choose to observe it," Fonseca explained. "Now, with so much data available, science's classical picture of theory-building is under threat of being inverted, with data being suggested as the source of theories in what is being called data-driven science." 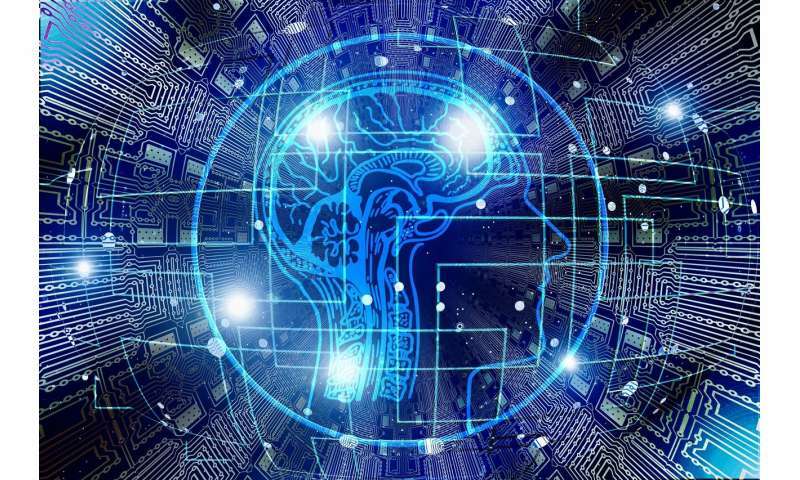 Fonseca shared these thoughts in his paper, "Cyber-Human Systems of Thought and Understanding," which was published in the April 2019 issue of the Journal of the Association of Information Sciences and Technology. Fonseca co-authored the paper with Michael Marcinowski, College of Liberal Arts, Bath Spa University, United Kingdom; and Clodoveu Davis, Computer Science Department, Universidade Federal de Minas Gerais, Belo Horizonte, Brazil. In the paper, the researchers propose a concept to bridge the divide between theoretical thinking and a-theoretical, data-driven science. "Instead of approaching a specific set of big data in order to answer an already developed question, scientists are encouraged to engage with the data in a more thoughtful and immediate way, using the data itself as an instrument for scientific investigation," the researchers explained. "The immediate benefit would be helping scientists manage and respond to the flood of data that would otherwise overwhelm their agentive and decision-making powers." Fonseca used the metaphor of comparing data or artificial intelligence to a cane that a blind person might use to navigate the world. "Scientists use the really-existing data to feel along and interact with the really-existing world, engaging data not as a representation, but as an instrument to help facilitate their empirical thinking," he explained. "Like the cane, data is used as an extension of their senses, with their understanding of the world being dynamically coupled with the massive streams of data found in data-driven science." He proposes a practical reshaping of how analysts, practitioners and scientists think about their work. With many advances in artificial intelligence, and machines making more human-like actions and decisions, Fonseca said that it is important to reflect on the impact that technology has in everyday life. "Tech isn't going away," he said. "We need to think more about it and understand it better so that we can make informed decisions." To illustrate the ethical challenges that new technology can bring, he cited a recent Washington Post article about medical providers and tech companies using artificial intelligence to predict individuals' depression rates and likelihood of suicide. The technology scans medical records and social media posts for suicidal language and behaviors. Some of the data is provided to physicians or other individuals that can intervene. But could that same data fall into the hands of marketers or other third parties? "Although it's possible to [create these algorithms], maybe we shouldn't do it. Because once it's there, people are going to use it and they're going to use it poorly," he said. "These are the questions about science that we need to start thinking about. "It's all about values," he added. "We can have all kinds of data, but we need to know how we are using it." Black Mirror pretty much shows this problem head on. So many examples of tech that's almost possible but often ends up being used in a plain evil way.